Jonathan Blake makes a living stealing antiquities—stealing them back, that is. 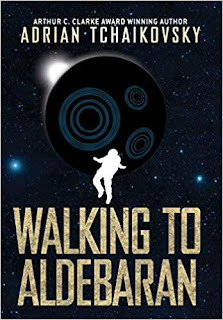 A field agent for the Argo Foundation, a company that makes it their business to preserve humanity’s history by liberating stolen artifacts from thieves and looters, Blake is used to dangerous assignments. But when he is forced by the US government into a deadly mission involving a missing Napoleonic standard, he finds himself in over his head. 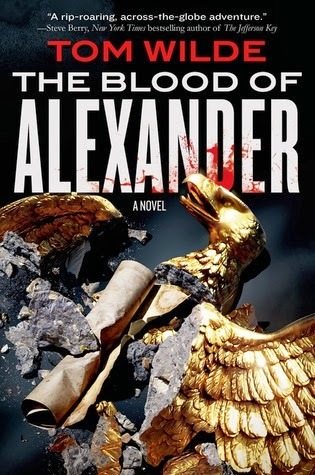 Blake is pitted against Vanya, the head of a fanatical cult, who seeks a gilded bronze eagle that holds a vital clue to the lost tomb of Alexander the Great. 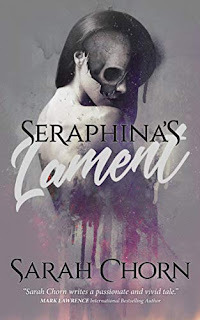 From ancient ruins in Afghanistan to the catacombs of Paris to a chateau high in the French Alps, Blake must unravel the secret truth of the final fate of Napoleon Bonaparte, the murder of Percy Bysshe Shelly, and the hidden remains of Alexander. And he must do it before Vanya's apocalyptic plans for humanity come to their deadly fruition. A top secret program to resettle war criminals in our communities, men guilty of the most horrendous crimes imaginable. An American diplomat who blugeoned his family to death, disappeared and remains free to this day. A massive White House cover-up. These really happened. Operation Paperclip, run by the CIA, gave us Nazi scientists and SS murderers. William Bradford Bishop massacred his mother, wife and three young sons in 1976 and has been on the lam ever since. 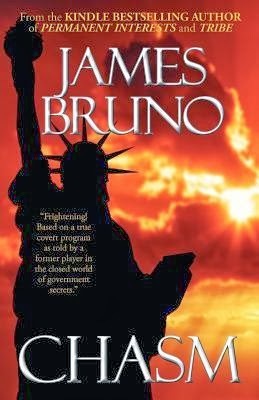 CHASM is based on these true covert programs and evildoers. Don't read it before bedtime. You won't be able to sleep. Promise. Peace in the Balkans is fragile. The White House's political fortunes hang on ensuring that shaky peace deals hold firm. In a top secret codicil, the U.S. agrees clandestinely to take in scores of Balkan war criminals. This super-secret program is Operation CHASM. CHASM gets out of hand as war criminals go on a rampage of arson and murder across the U.S. Mike Gallatin's young daughter is almost killed. Drawing on his detective skills, the Cleveland investigator finds out about CHASM -- but almost at the cost of his own life as the ruthless National Security Adviser, John Tulliver, orders Gallatin's "recall." Written by a former insider, CHASM is about Washington powerholders, who, in pursuit of their own ambitions, take actions which trample on the little guy. But one average citizen, a victim of their policies, embarks on a quest to expose the hypocrisy and lies. It also demonstrates how malicious policies can overwhelm their implementers, dragging them into hellish behavior and self-destruction. A crew of scoundrels, deviants, and ruffians. A map. A fabled sword. The barrow of a dead wizard. 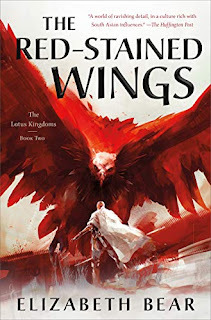 Watch for my review (and an international giveaway) on Tuesday! adventure fantasy horror Mailbox Monday Stacking The Shelves suvudu thriller What Are You Reading? Wish I had read Three last year, it and Morningside actually look pretty good. Somehow it flew right over my radar. Oh, and I need to get started on The Barrow, been told it is right up my alley. Three was a nice surprise, darker and more well-rounded than I expected. The Barrow I almost passed on, but I completely hooked. It's a very grown up sort of fantasy, and one that has no reservations with mortality rates. As usual these are all new to me but sure look like epic reads! Happy Reading! 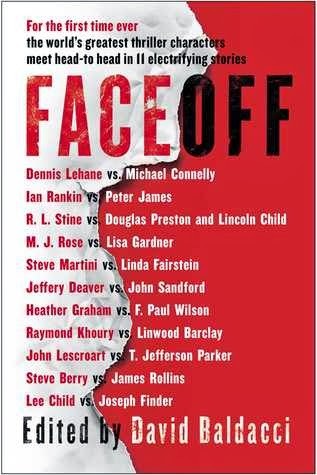 Face Off has a story by Preston and Child? I'm sold! Yeah, Preston & Child was the initial hook for me too - F. Paul Wilson, Steve Berry, James Rollins, and Lee Child are just icing on the cake. 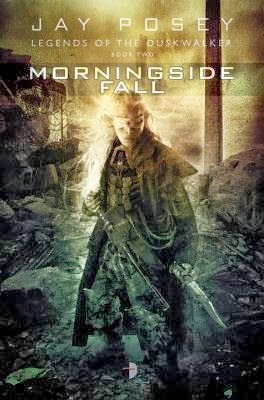 I picked up Morningside Fall from Netgalley too! Couldn't resist, after how much I enjoyed Three last year. And glad to hear you're enjoying the Barrow. Very dark and mature, but enjoyable all the same. Hope I'll get my review up soon, it's a good one that I think deserves more attention. Three was a pleasant surprise - hoping he can pull it off a second time. your book sound great, I hope you'll like them all. Happy reading! Morningside Fall looks pretty interesting! I've never heard of these before, but I hope you love them! Nice looking collection of books. I really enjoyed Moth and Spark. Come see what I got at Ms. Martin Teaches Media and Inside of a Dog. Happy reading! 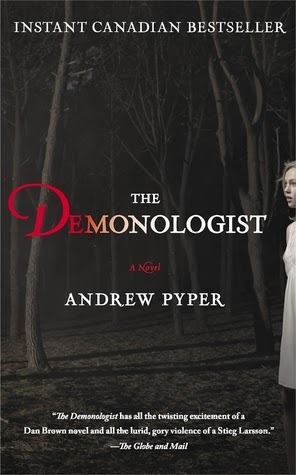 The Demonologist by Andrew Pyper reminds me of Dan Brown. Interesting mailbox! Hope you enjoy your new books! The Demonologist looks very interesting! FaceOff and Chasm sound great. I added them to my wish list. Hope you enjoy all them all! Faceoff sounds like it might be interesting. Sorry for the late visit.